Thank you so much for allowing my readers the chance to win this awesome prize! The store is just fabulous! Great things for great families! 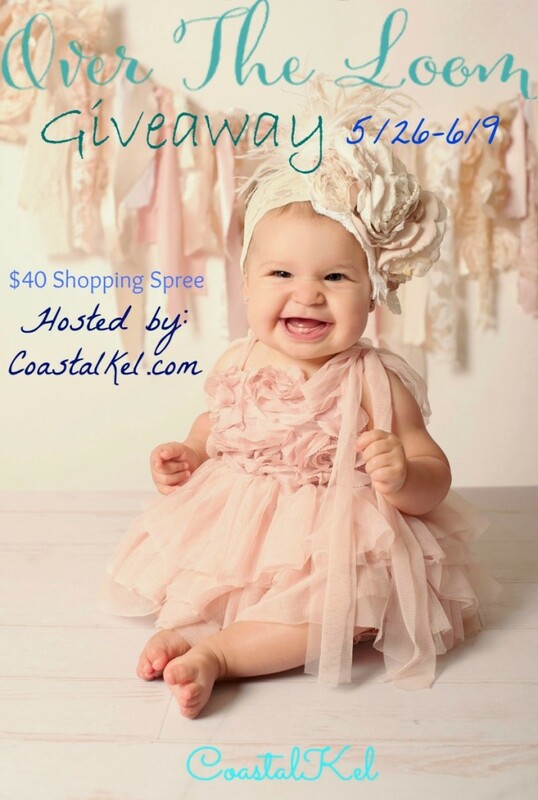 Welcome to the Over The Loom shopping spree giveaway, hosted by CoastalKel and sponsored by Over The Loom. Here is your chance to win a $40 shopping spree at the fabulous Over The Loom clothing company. Their vintage inspired clothing is not only fashionable, but priced just right too! To read my full review: Click Here. The giveaway will run from 5/26-6/9. Please enter via Rafflecopter below. Remember to return daily for extra entries. Void where prohibited. This giveaway is open to US and Canadian residents only.